I'm playing through FFII on my ipod touch and I'm getting sick of looking at the same 2D sprites all the time. They aren't bad, poorly designed, or ugly to look at. The problem is simply fatigue. I've been looking at the same character sprites, spell graphics, attack animations, and re-skinned enemies for over 15 total hours of play. The problem is most likely compounded by the fact that I immediately went from playing FFI to FFII, both of which have been redesigned in the same style. For some reason the 2D sprite art style really brought this phenomenon to my attention, but it's definitely not limited to 2D games. How many games have you stopped playing, not because of the gameplay, but because you were sick of seeing the same graphics over and over? I know it's happened to me a bunch. Gameplay is definitely the centerpiece of a game, but don't underestimate the impact of the art style and graphics. Look at games like Limbo and Bastion to see the truth in that. They're games with decent, but not wonderful, gameplay but they're unique selling point is their art style. I really appreciate it when developers take the time to introduce variety and creativity in their art style. It can keep me playing a game just to see what's around the next corner. And that sense of wonder and excitement goes a long way. Graphics have really come far man. I remember just recently, I couldn't get enough of GTA: Vice City. There was this 4:10 circuit that you could do in one of the races and every day I would try to beat my best time often managing to do it within a fraction of a second. After playing GTA4, I decided to give Vice City another spin, and the graphics looked so dated, I couldn't stand it for more than a few minutes! It's not even the fact that the graphics are old. I love games with 8-bit sprites. The problem comes when I've looked at the same type of graphics for 40+ hours. It happens to me in modern games too. I know exactly what you mean. Especially in those games where it is mash the X button to win, or something along those lines. The X button being the basic attack, but good enough that you don't need other skills, so you just keep repeating the combo over and over. This sort of applies to gameplay as well, but I can handle repetitive gameplay personally. 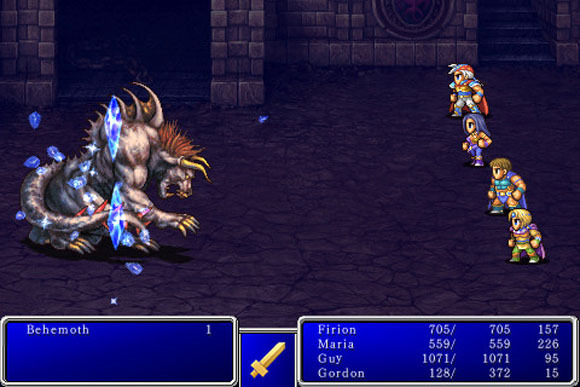 In games like Final Fantasy, the 3d ones at least, with the wide variety of abilities there were, I found myself commonly swapping through them, despite how practical they were. The only times I ever used the same ability repetitively was boss fights and enemies that absorbed certain types of damage.